During the three years it took to write Silk for the Feed Dogs, I became a student again. I’d never written a novel before. I devoured books promising me the gifts of the perfect first sentence, a gripping plot, brisk pace and correct usage of the semicolon. But what really got me to my goal? Stalking Zadie Smith around New York CIty. I was present at her every reading, panel discussion and televised talk. 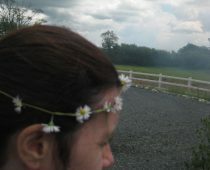 Halfway through my writing of the novel she published her book of essays Changing my Mind. The encouraging words she dashed across the opening page of my copy meant I didn’t change my mind. I kept writing. 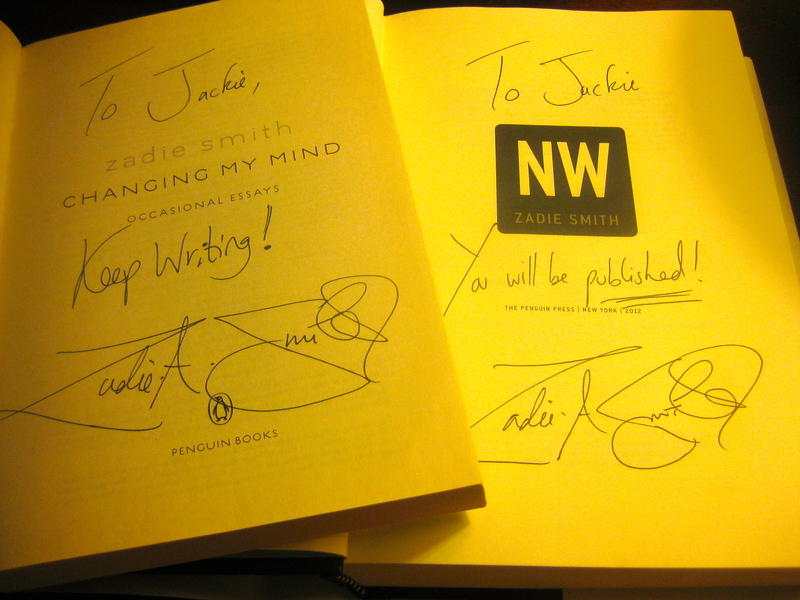 Then she came out with NW and “You will be published!” were the words she wrote on my copy. My novel comes out next month. It’s like graduation all over again. Wow, I’ve loved Zadie Smith since reading White Teeth Freshmen year. You’re so luck to have met her! I’ll be keeping an eye out for your book! Thanks Shantaya! She is definitely an idol.She teaches here in NYC which is why I was able to catch her so much. She’s very sweet and real as well as being a true brain…gush gush 🙂 I’ll post onto the blog when my novel is available for pre-order on Amazon. Zadie I am not, but I’m proud of it. How exciting for you. That must be a big relief and it’s (really) only just the beginning for you. Congrats! Thank you Brent! I’m all a-quiver. The ebook will be available this week. In the spirit of flying in the face of superstition we decided on Friday 13th!